The powers of Chelas vary with their progress; and every one should know that if a Chela has any “powers”, he is not permitted to use them save in rare and exceptional cases, and never may he boast of their possession. So it must follow that those who are only beginners have no more or greater power than an ordinary man. Indeed the goal set before the Chela is not the acquisition of psychological power; his chief task is to divest himself of that overmastering sense of personality which is the thick veil that hides from sight our immortal part – the real man. So long as he allows this feeling to remain, just so long will he be fixed at the very door of Occultism, unable to proceed further. The above article was first published in the magazine “The Theosophist”, October, 1884. 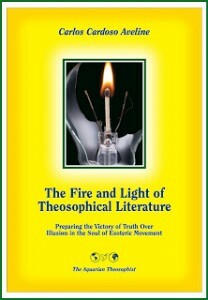 It is here reproduced from the three-volume compilation “Theosophical Articles”, by Helena P. Blavatsky, Theosophy Co., Los Angeles, 1981. See volume I, pp. 299-300.